This paper introduces novel analyses that clarify why the dynamical systems approach is essential for studies of embodied cognition by revisiting author’s prior robot experiment studies. 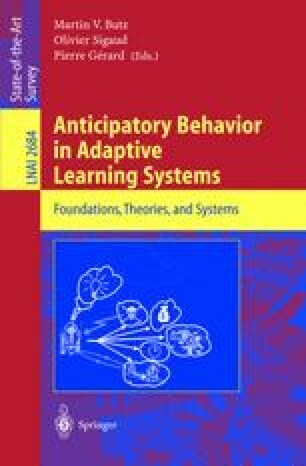 Firstly, we argue that the symbol grounding problems as well as the “situatedness” problems should be the consequences of lacking a shared metric space for the interactions between the higher cognitive levels based on symbol systems and the lower sensory-motor levels based on analog dynamical systems. In our prior studies it was proposed to employ recurrent neural networks (RNNs) as adaptive dynamical systems for implementing the top-down cognitive processes by which it is expected that dense interactions can be made between the cognitive and the sensory-motor levels. Our mobile robot experiments in prior works showed that the acquired internal models embedded in the RNN is naturally situated to the physical environment by means of entrainment between the RNN and the environmental dynamics. In the current study, further analysis was conducted on the dynamical structures obtained in the experiments, which turned out to clarify the essential differences between the conventional symbol systems and its equivalence realized in the adaptive dynamical systems.